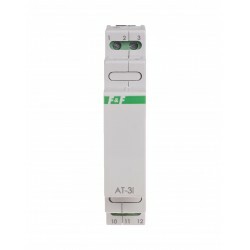 I/O extension modules There are 32 products. 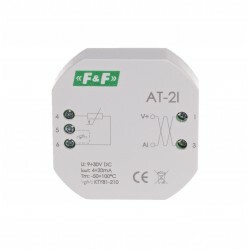 The analog transducers dedicated for measuring physical values w ith an external or internal sensor and converting the measured features to the standard analog current signal output 4÷20 mA or voltage 0÷10 V.
Analog temperature transducer. Current (4-20 mA). Analog temperature transduce. 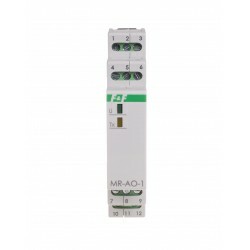 Voltage (0-10 V). 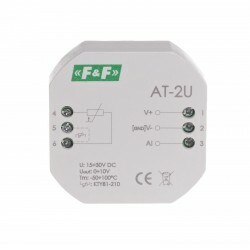 The analog transducers dedicated for measuring physical values w ith an external or internal sensor and converting the measured featuresto the standard analog current signal output 4÷20 mA or voltage 0÷10 V.
Analog temperature transducer. Voltage 0÷10 V.
Analog inputs module with MODBUS RTU output. MR-AI-1 module serves as an external analog input device extending PLCs or other devices in which data exchange is via the RS-485 according to the MODBUS RTU protocol. 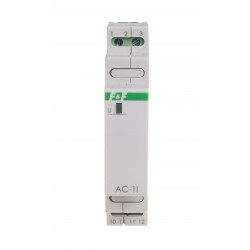 Extension module with output MODBUS RTU. The transmitter MB-1U-1 is designed to measure the voltage and exchange data using the RS-485 port in accordance to MODBUS RTU protocol. 3F voltage measurement transducer with MODBUS RTU output. MB-3U-1 transducer is designed to measure the voltage and to transmit the data via RS-485 port using MODBUS RTU protocol.